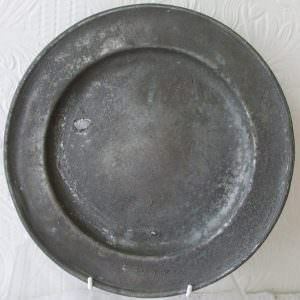 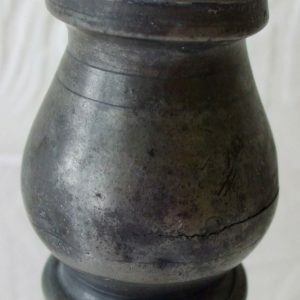 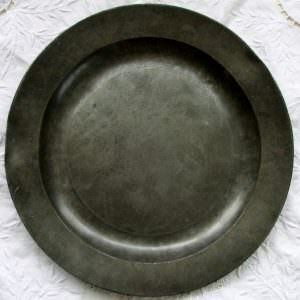 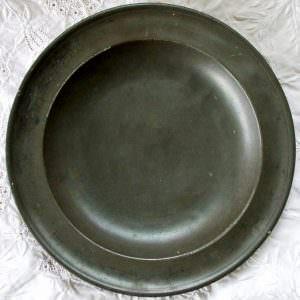 Antique Pewter, “The soft grey maiden”, comes in a number of grades of quality, the classification of which hinges on the constitution of the alloy ~ In short, the greater the proportion of lead, the softer the metal, that of tin, the harder. 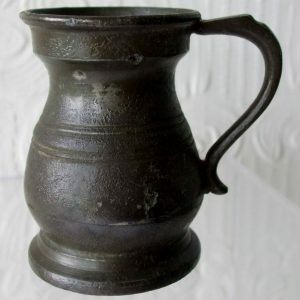 In the past, just as domestic water supplies arrived via lead pipes, so was beer drunk from pewter mugs and tankards. 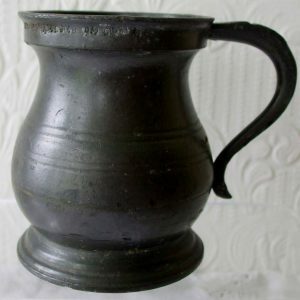 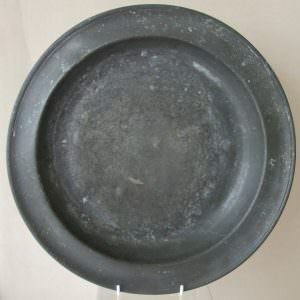 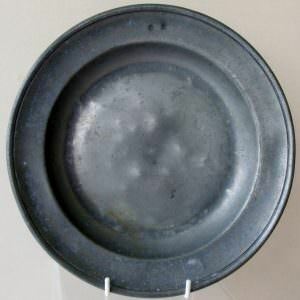 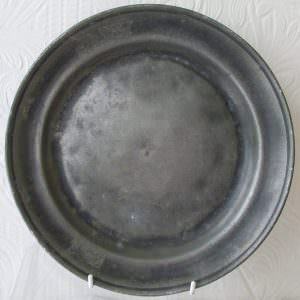 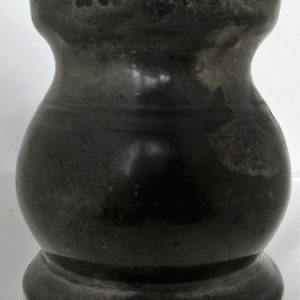 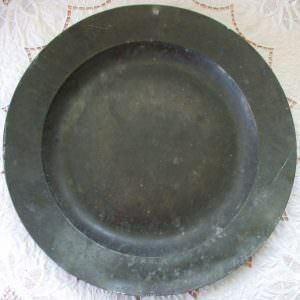 In use since the Middle Ages, Pewter, once ubiquitous, passed largely out of use once the evils of lead poisoning gained public prominence. 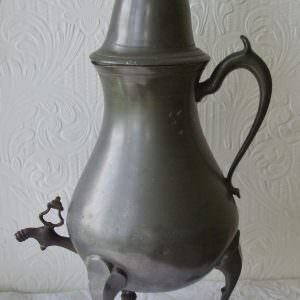 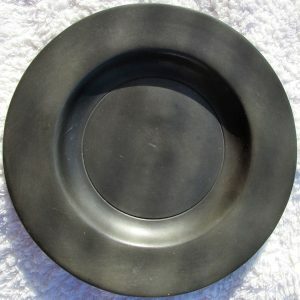 Today, widely collected, items of Antique and Vintage Pewter, many of them originating as domestic kitchen utensils are avidly sought after. 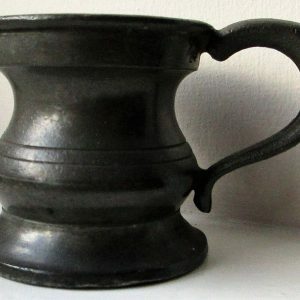 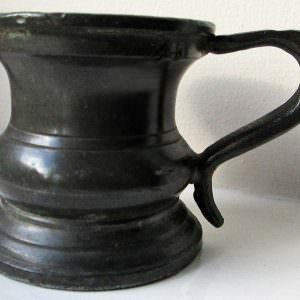 Mugs, Tankards, Plates, Dishes, Moulds, Candlesticks, Coffee and Tea Pots, all of these and more now are granted a new lease of life as treasured objects worthy of collection and display. 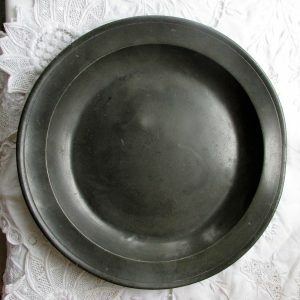 Antique English Edwardian Pewter 1/2 Gill Measure ~ Morgan Crossley and Co.